Given that its first scene contains a teenage girl scheduling an abortion and then her boyfriend showing her a gun—one that might as well come with a giant neon “Chekhov” sign blaring above it—this play is a quiet one. But it’s not a settled quiet, not the calm of a mid-summer afternoon nap on the veranda. It’s the proverbial calm right before the Category 4 storm. Written by Chicago playwright Robert Tenges and directed by Adam Webster, “Whatever” is one long 100-minute drop in barometric pressure. The play, which not only takes its name from stewing teenage surliness but its attitude as well, centers on two single-parent families and their struggles traversing the spiritual wastelands of suburban Chicago. 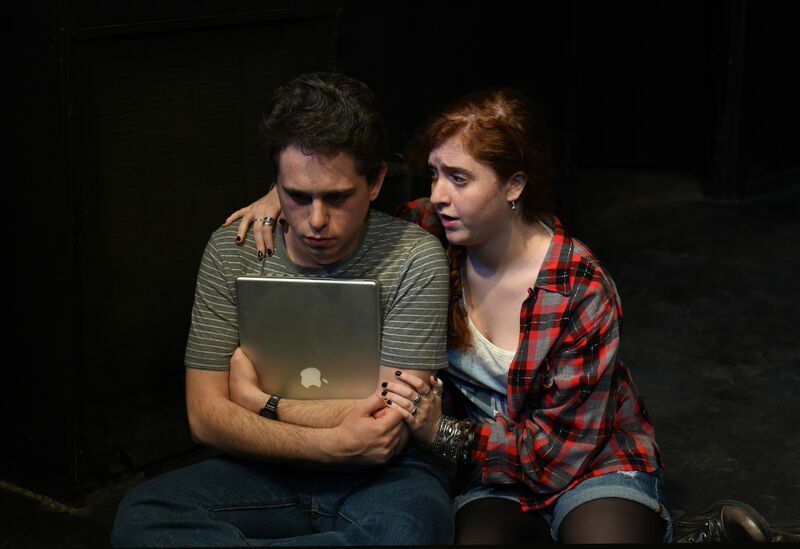 Chloe (Grace Melon), the girl scheduling the abortion, enjoys an icy detente with her emotionally constipated father Henry (Josh Odor) while waging open war on his newish girlfriend Rachel (Kirsten D’Aurelio). The boyfriend with the gun, Declan (Aaron Lockman) loves Chloe very much, but he’s disturbed, quite medicated and proving maybe too heavy a burden for his mother (Shawna Tucker) to raise by herself. Tenges builds his story out of tense, hushed conversations, which Webster and his crackerjack cast execute with deft attention to detail. The wire-to-wire precision of the acting reminds you of a heist film—one where they’re stealing the American middle-class dream. The plot moves very slowly right up until it starts moving very fast. Much of the story happens in between the words, in the long stares people give each other, in the fidgeting of their hands as they look down at the floor, in the way their eyes narrow as they figure out which lie to tell. the side project theatre company, 1439 West Jarvis, (773)340-0140, thesideproject.net, $10-$20. Through August 9.